The UKI Unit 4 Customer Conference will return to Manchester Central in 2017, breaking the event's tradition of being hosted at a different venue each year. Other returning clients for Manchester Central in 2017 include the British Dental Association, Soccerex, the Northern Restaurant & Bar Show and the Chartered Institute of Personnel and Development. Derren Nisbet, Unit4’s managing director for the UK and Ireland, said: "Manchester Central proved itself as a fantastic venue for our annual customer conference. The venue provides us with the space we need to accommodate all the elements we offer our delegates as well as state-of-the-art facilities that allow maximum creativity. "In addition, the support and expertise of the Manchester Central team is exemplary. Quite simply, the venue met all of our needs in 2016; so the decision to return in 2017 really was a no-brainer." 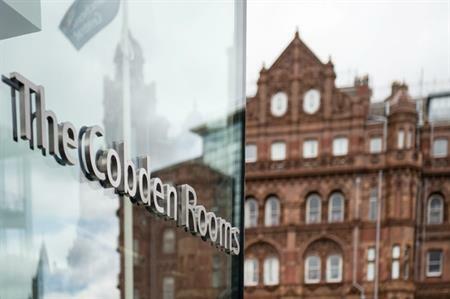 Angie Robinson, CEO of Manchester Central, said: "Every team member at Manchester Central prides themselves on customer satisfaction and I’m absolutely delighted to see the fruits of their labour in so many fantastic events choosing to return to the venue. "Our world class service and unrivalled flexibility continually allows us to ensure that our clients’ events surpass their expectations and we look forward to welcoming each of them back next year!"